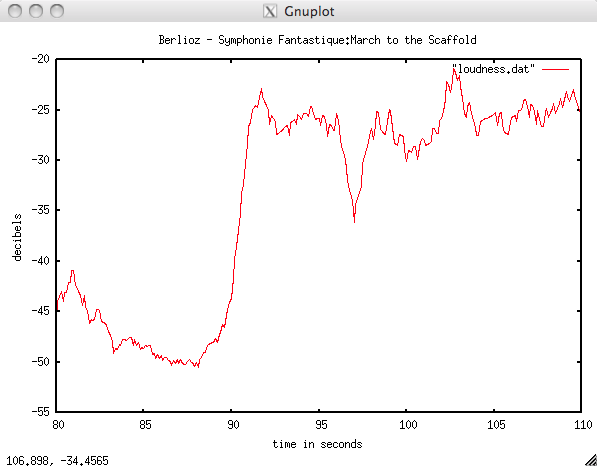 This extreme change in energy makes for a very dramatic moment in the music. It is one of the reasons that I listen to progressive rock and nu-metal (despite the mockery of my co-workers). However, finding these dramatic gems in the music is hard – there’s a lot of goth- and nu-metal to filter through, and much of it is really bad. After even just a few minutes of listening I feel like I’m lost at a Twicon. What I need is a tool to help me find these dramatic moments, to filter through the thousands of songs to find the ones that have those special moments when the beauty comes eye to eye with the beast. 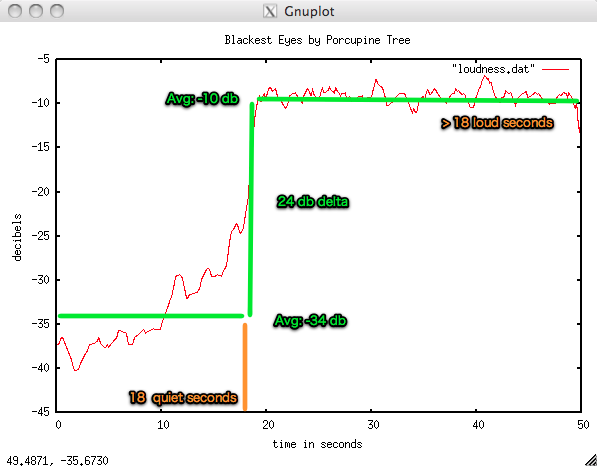 This plot shows a windowed average of the Echo Nest loudness for the first 50 seconds of the song. 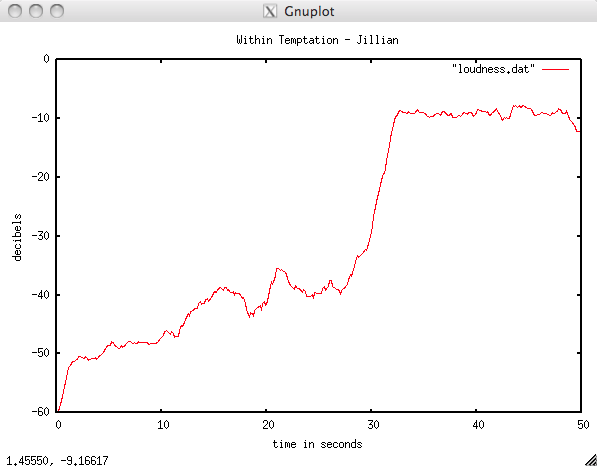 In this plot we see a relatively quiet first 10 seconds (hovering between -21 and -18 db), followed by an extremely loud section of around -10db). (Note that this version of the song has a shorter intro than the version in the Youtube video). If we can write some code to detect these transitions, then we will have a drama detector. The dramatic moment occurs at 7:12 seconds into the song – but I’m not sure if it is worth the wait. Not for me, but probably something they could play at the Forks Washington High School prom though. The slow build – and then the hammer hits. You can almost see the vampires and the werewolves colliding in a frenzy. 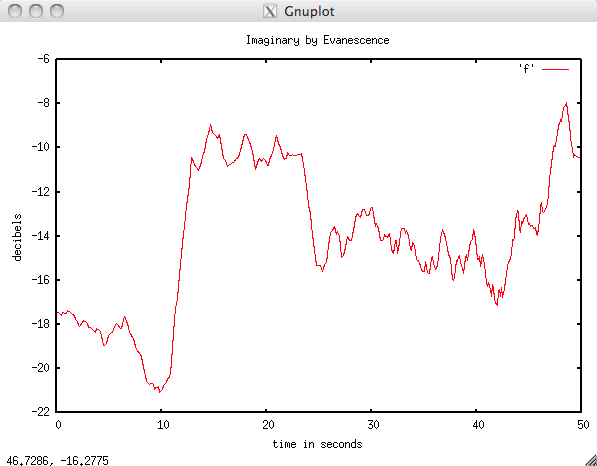 The code is written in Python using pyechonest, and the plots were made using gnuplot. If you are interested in finding your own dramatic bits let me know and I’ll post the code somewhere.